In Munich, all roads lead to Marienplatz (kind of). 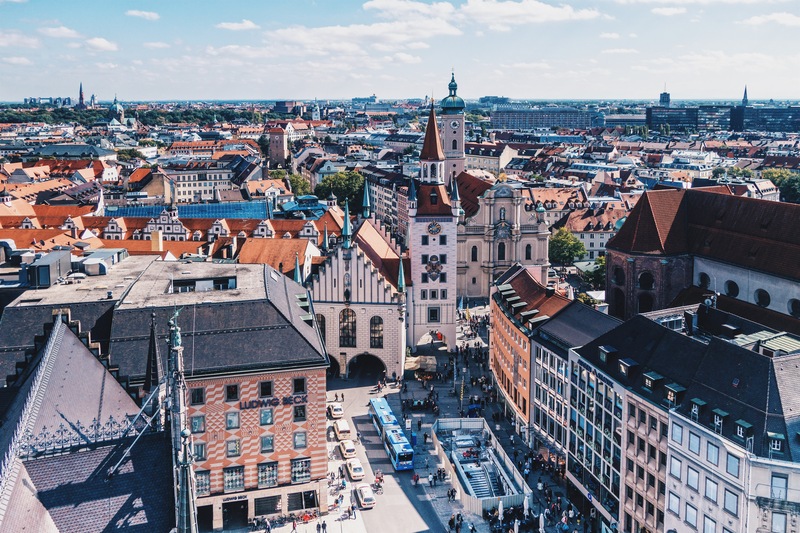 If you come to Munich by plane, train or bus, most likely you will end up going to Marienplatz (after central station called Hauptbahnhof) for a short stroll around or a connection to another place in the city. 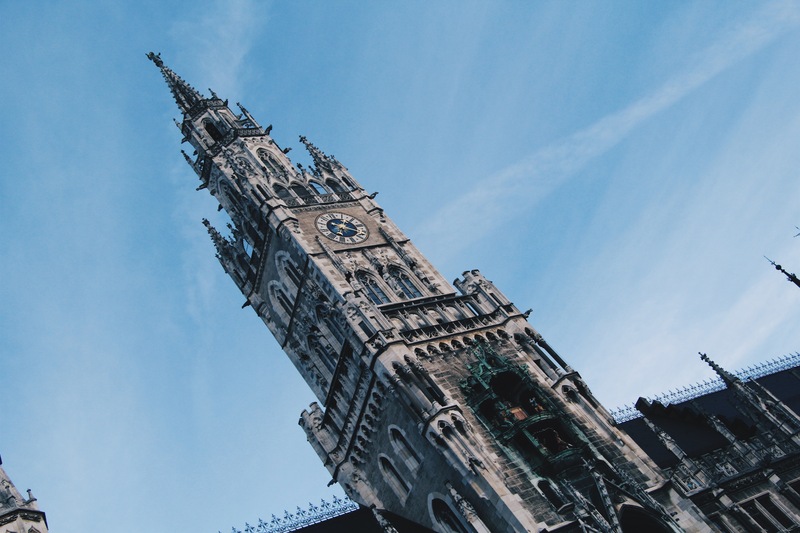 No matter where you want to go to in Munich, you will most likely be able to get there from Marienplatz, so keep it in mind! 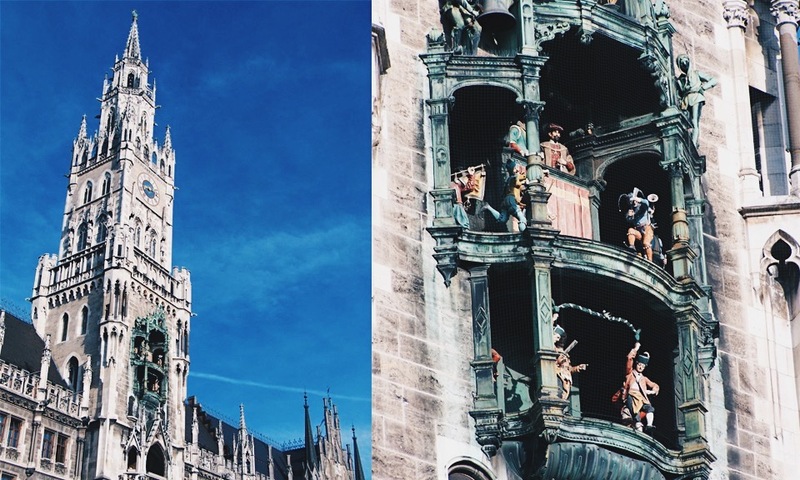 Rathaus-Glockenspiel, famous clock display telling the story of the marriage of the local Duke Wilhelm V (also the founder of the famous Hofbräuhaus) to Renata of Lorraine, is also in Marienplatz. At certain times every day you can see those little figures move and that’s what a lot of people coming there are waiting for. One of my favourite places in Munich is the English Garden, stretching through the city centre to northeastern part of Munich. It’s one of the biggest parks in the world, even bigger than New York’s Central Park! The English Garden is a great place to have a stroll or run around in good weather. It also attracts picnic and beer lovers coming for a stein at the famous Chinese Tower beer garden. The great thing about this place is that you can bring your own food and share it with your friends while having a cold stein of beer! Surfers, yes river surfers, also love English Garden and use Eisbach river for surfing while entertaining passing locals and surprising tourists. Where the best views at? One of the best city views opens up from the top of St. Peter’s Church and it costs you 1 euro to get up there. It’s a long way up but if you have the time, energy and strong legs, it’s definitely a winner! If you want an easier option with a lovely (but not as good) view of Munich, check out the Olympic Tower. It costs a little bit more to get to the top but you will be taken up by lift so it’s a quicker and less stressful option for families or people who simply do not want to walk all the way up. Also, the Olympic tower has got a big roof terrace, therefore, even people scared of heights will be having a good time! 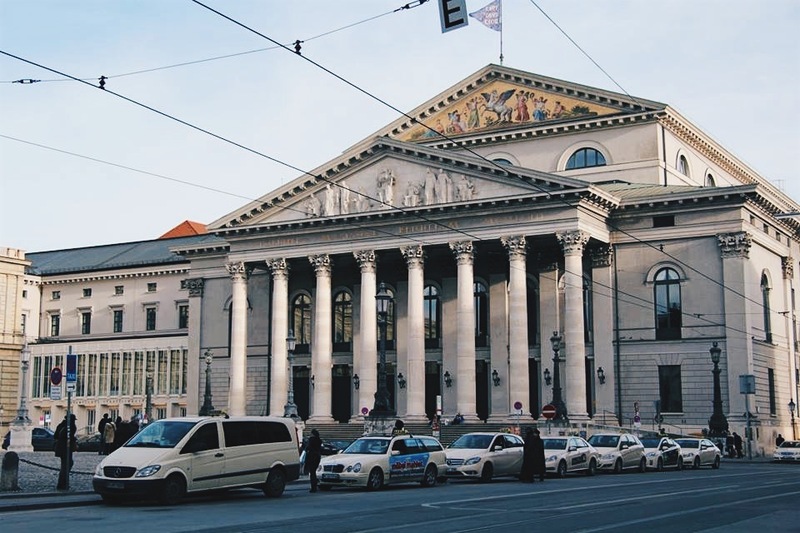 Another thing Munich is famous for is its museums. There’s so many of them covering a wide range of industries and satisfying everyone’s taste. 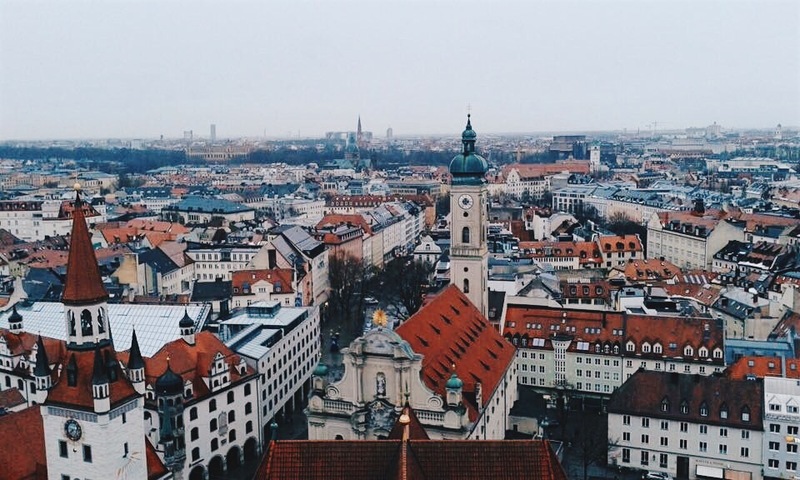 Personally, I am not that into museums and you will not find me visiting museums in every city I travel to but there’s a few places in Munich that are worth seeing if you have more spare time. If you are on a short trip – leave it for next time, it can wait. My personal favourite is Kunsthalle Munich which is a contemporary art museum. It holds a mix of classical and modern artworks by Western artists. 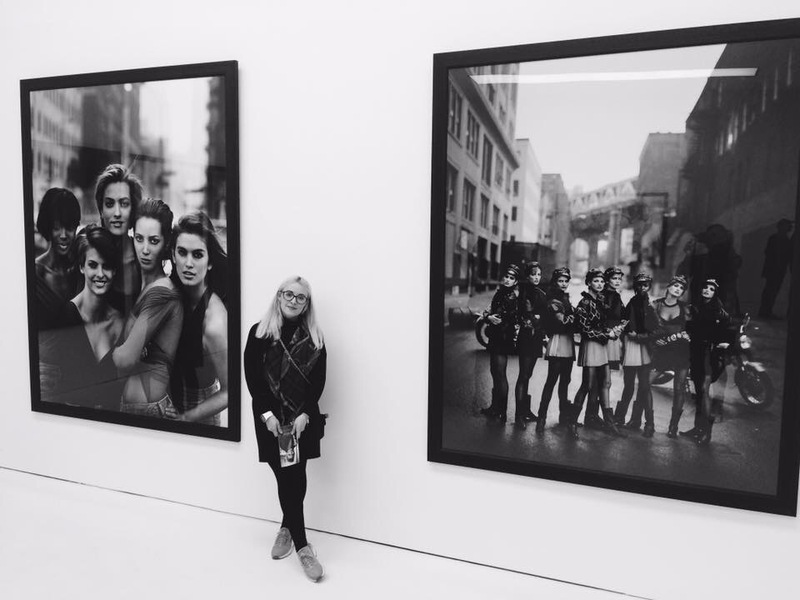 Currently Kunsthalle shows Peter Lindbergh’s exhibition called From Fashion To Reality and is a must to fashion, photography and supermodel era lovers. Another place to visit for car enthusiasts – BMW Museum. It takes you through the times and development of BMW and showcases the best BMWs that have ever been created. 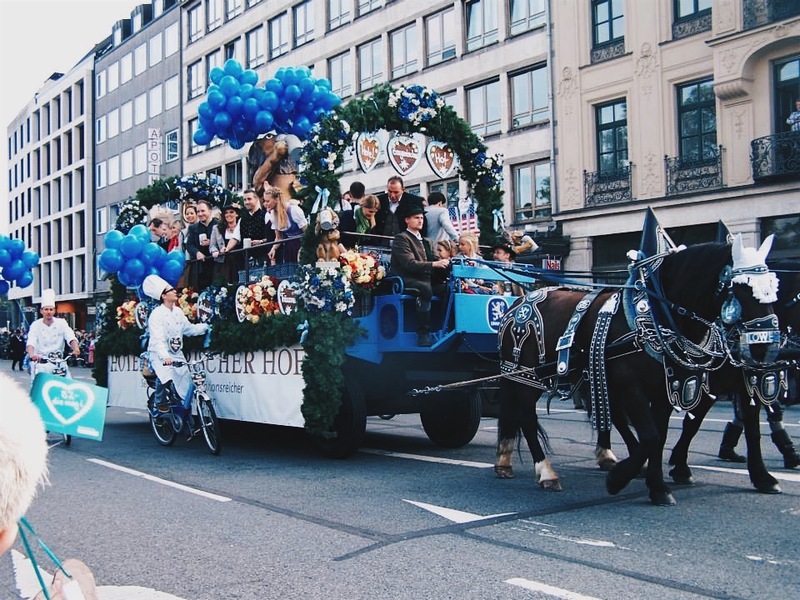 Other few museums you might be interested in are The Deutsches Museum (the largest science museum in the world) and Alte Pinakothek (one of the oldest galleries in the world and has got famous collections of Old Master paintings). Leberkäse. It’s a certain type of meat loaf that is normally eaten in a sandwich. If you want to try the best one – pop in a local meat shop or bakery and get a fresh slice of Leberkäse… it will taste nothing like the ones they sell in a shop! Steckerlfisch. This might sound complicated but it is actually a fish grilled on a stick in the traditional Bavarian way. It’s very popular during Oktoberfest or any other local festivals and is incredibly delicious when freshly grilled. Schnitzel. I’m sure you all know what Schnitzel is. This one is kind of Austrian speciality but Bavarians know how to do a good schnitzel of their own. Make sure you search a good place for it as it all depends on the chef! Spaetzle. Now this one is tricky. It’s egg noddles that are normally served with cheese & fried onion on top. It might not look very appetising but I promise you it is very delicious. Kuchen. Cakes, cakes, cakes. You have to have one! If there’s one thing I miss the most in England is a good slice of cake and Germans know how to do it well. If you want something especially German – try Black Forest Cake (Schwarzwälder Kirschtorte in German). 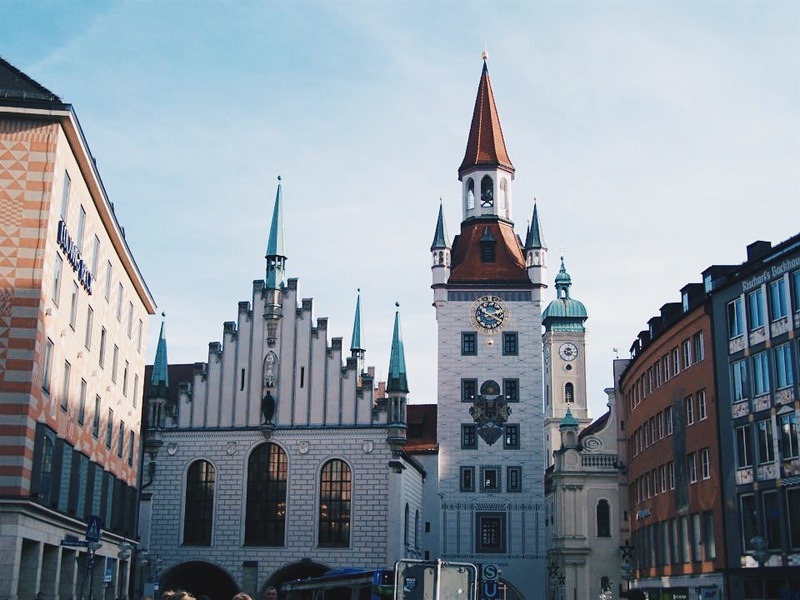 Next to Marienplatz you can find a famous Höfbräuhaus beer hall which was built in 1589. Today the place is very popular with tourists who want to experience local culture and traditions. It’s an incredibly big place and it might get noisy at times but that’s just Bavarian culture to you. As some people might say that the place has lost its vibes due to tourists, you still have to stop there, even for 10 minutes, to soak in old beer traditions of the country that seems to be doing it best. If I were you, I’d have a look around or grab a stein of beer and move on – you can get better food elsewhere. After that, go to Augustiner Keller. It is another beer hall & garden in Munich that has great beer traditions, lovely local food and Bavarian spirit. It will still be busy during peak times but is not as packed with tourists as Höfbräuhaus! If you are a football fan, you know that FC Bayern Munich lives here. Getting tickets to Allianz Arena is almost mission impossible but you can still enjoy your experience while taking an Allianz Arena guided tour and travelling through the history and times in the museum located inside the arena. There’s plenty of English tours on a daily basis, so there is no reason not to take the tour. Also, if you are lucky, Bayern Munich players tend to have open training sessions at Säbener Straße where you can go to their training ground and watch them train! Game on, but where shall I watch it? Stadion an der Schleißheimerstraße should be your choice! It’s a dedicated football bar that welcomes all supporters of all clubs around the world and showcases games of different leagues. The place has got its character like no other and if you watch FC Bayern Munich play there, you are in for a good night! 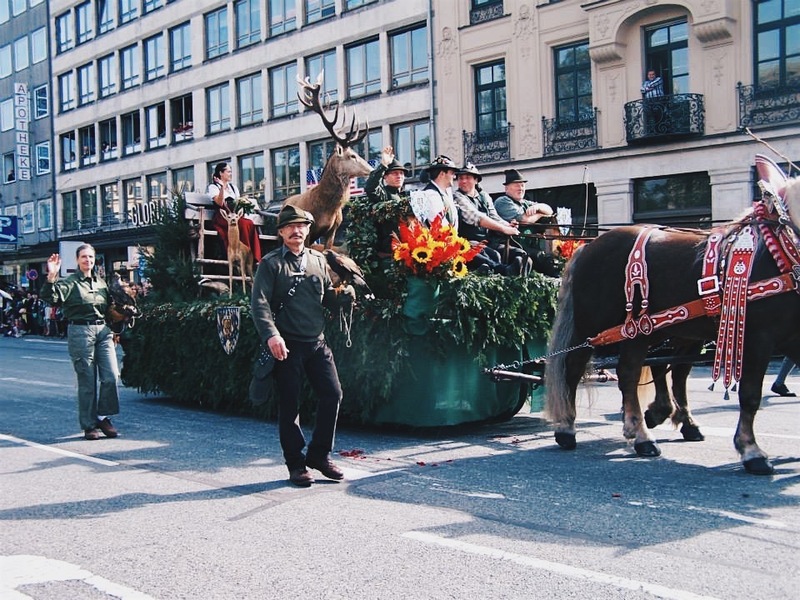 If you decide to visit Munich in September/October when the beer festival is on, be prepared that hotels are selling out quickly and prices for flights & hotels shoot up! 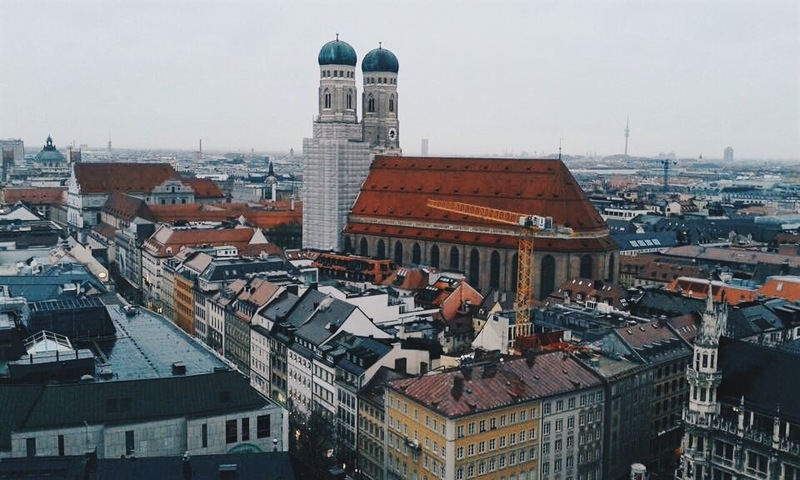 So if you are after a budget trip to Munich, you might want to go on an alternative date. 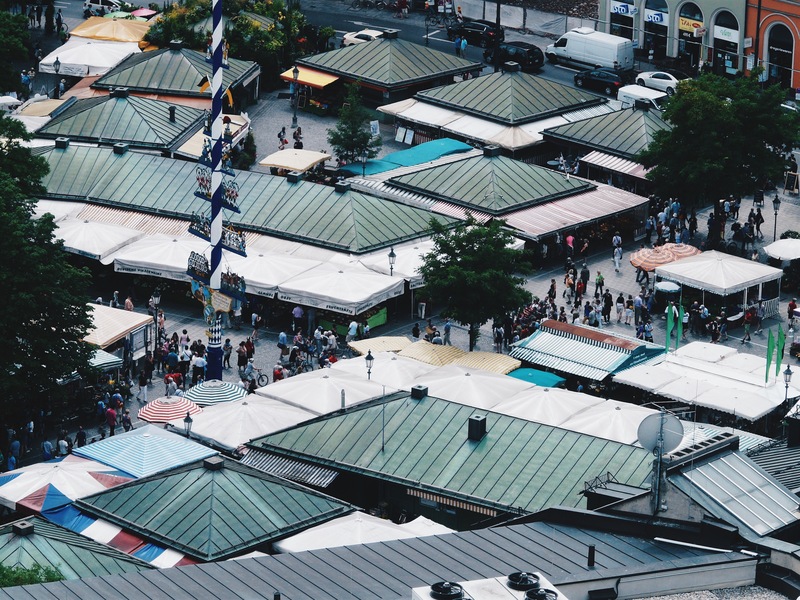 Oktoberfest attracts a lot of people from around the world, therefore, the city gets incredibly busy, many places are reserved in advance and you will find yourself trapped. 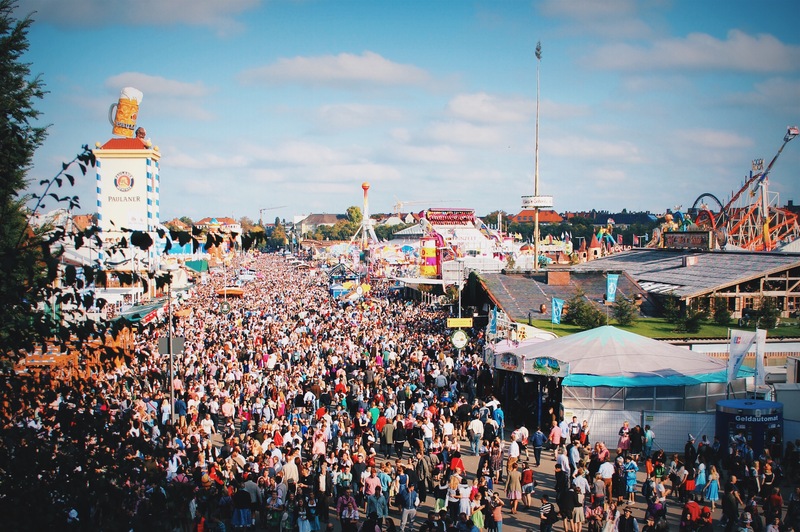 If you are coming for Oktoberfest itself, prepare for the time of your life! Munich is very well connected, therefore, you can get everywhere in no time. You can buy day tickets that would allow you to use subways, trams and buses in the zone you want. You would not have to mark the ticket each time you get in so it’s stress-free if you want to hop on/off! 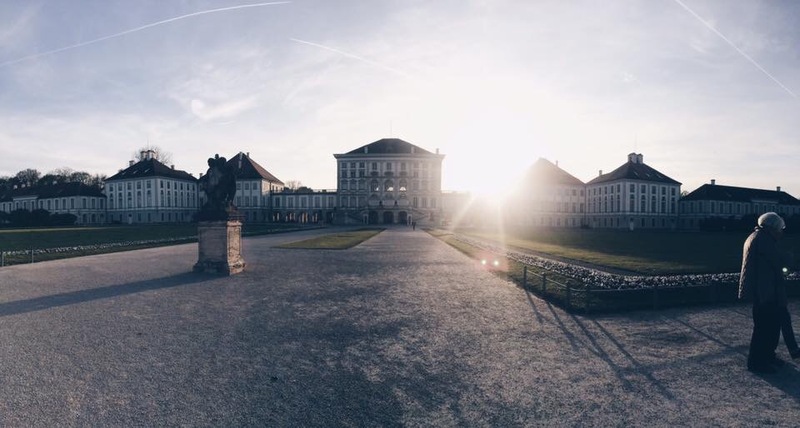 If you have some spare time, take a subway/bus or a tram to the Nymphenburg palace. It’s another perfect location in Munich if you fancy a picnic or just a sit down. There will be a few just as smart people having a bite or a beverage, running or reading. However, it feels incredibly peaceful and quiet no matter how many people are around! If you would like to find out more about my travels, please don’t hesitate to follow me on Instagram, Twitter & Facebook ! Loved this! I’ve always wanted to visit Munich (outside of the airport at least) and this is great info to have when I (someday) go! Wonderful post. And, yes, you do paint such a beautiful portrait of this city.